Added by admin on August 10, 2018. 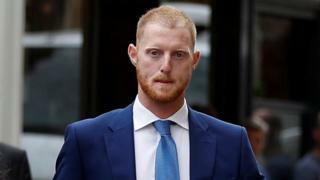 England cricketer Ben Stokes admitted throwing several punches at a man outside a nightclub in Bristol, a jury has heard. The Durham all-rounder, who denies affray, has taken to the stand for a second day at Bristol Crown Court. He is on trial alongside Ryan Ali, 28, who the cricketer is alleged to have knocked out, outside the Mbargo club. Mr Ali has also denied a charge of affray while Ryan Hale, 27, was acquitted of the same charge on Thursday. Mr Stokes told the court he felt “constantly under threat” by Mr Ali and Mr Hale who he claims made homophobic slurs to two gay men, Kai Barry and William O’Connor. But when questioned by the prosecution, he denied knocking out Mr Ali or being very drunk. 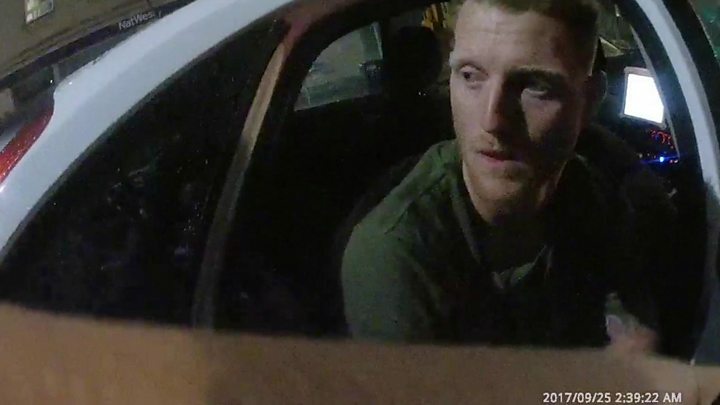 He agreed he had had at least 10 drinks, including pints of beer, vodka and lemonade as well as “a few” Jagerbombs, which are shots mixed with beer or energy drinks. Under cross-examination by Mr Ali’s defence counsel, he was questioned whether he had misheard what was being said. But, he maintained Mr Ali and Mr Hale made homophobic comments outside the club in the Clifton triangle area of Bristol during the early hours of 25 September last year. Mr Stokes told the jury he was not “threatening or aggressive” towards the men. “I’d say I was verbally saying ‘I don’t think you should be saying that to these two guys because they’re gay’,” he said. He also said he could not remember the specific homophobic words used. As the prosecution began it’s cross-examination of the cricketer, the jury was shown CCTV pictures from outside Mbargo, where he was denied entry. Mr Stokes admitted trying to bribe doorman Andrew Cunningham with £60 to get in, but denied it was as much as £300. He also denied being spiteful and aggressive or making derogatory marks about the doorman’s tattoos or throwing a cigarette in his direction when he was refused entry. The court heard Mr Cunningham perceived Mr Stokes as “mocking” the gay men’s mannerisms” and mimicking “their voices and effeminate nature”, which the defendant refuted. Mr Stokes also denied being angry about not being allowed back into the club, where he was with fellow England player Alex Hales. The court heard Mr Stokes had first played with Mr Hales in 2011, prompting prosecutor Nicholas Corsellis to suggest “you’d recognise his voice would you not?”. The defendant agreed he would. But when Mr Corsellis asked whether he heard Mr Hales call out to him, “Stokes stop, Stokes no…”, during the incident, he said he did not. He also said he did not remember Mr Hales trying to pull him back in a bid to stop the fight.